Pakistan and U.S. intelligence wrongly reported the death of the head of the Pakistani Taliban in a CIA drone strike and the brash, ruthless commander is now believed to be alive, Pakistani spies said Thursday in an apparent propaganda coup for the insurgents. The reports that Hakimullah Mehsud survived a January missile attack in an area close to the Afghan border will raise questions about the quality of the intelligence being gathered in the region. 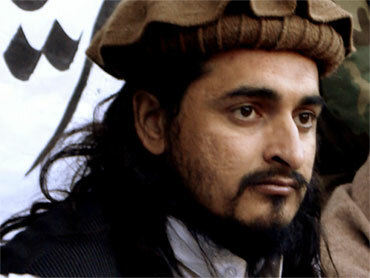 U.S. and Pakistani intelligence officials had expressed confidence that the brash militant leader had been killed in. The Taliban consistently denied Mehsud was killed, but declined to offer evidence he lived, saying it would compromise his safety. In Washington, Pentagon Press Secretary Geoff Morrell said he had seen "no evidence" that Mehsud "is operational today or is executing or exerting authority over the Pakistan Taliban as he once did." "So I don't know if that reflects him being alive or dead, but he clearly is not running the Pakistani Taliban anymore," Morrell told reporters. The Taliban had always claimed Mehsud was alive and dismissed the earlier reports of his death as lies. CBS News' Farhan Bokhari cautions, however, that there is still disagreement among Pakistan's intelligence officials about Mehsud's survival. A source close to the leaders of the Haqqani network - another prominent clan within Pakistan's affiliated Taliban groups - tells CBS News' Sami Yousafzai that Mehsud was, indeed, killed in the U.S. drone strike. The militant network said it was not going to offer any evidence such as a video recording because doing so could help security forces hunt Mehsud down. But until there is proof he is alive, questions may linger about his fate, given the apparently patchy nature of intelligence in the tribal regions. One senior Pakistani official also said Mehsud was no longer the major force in the Taliban movement, which has carried out scores of attacks in Pakistan in recent years and is allied with al Qaeda and militants in Afghanistan fighting U.S. and NATO troops. He said other Taliban commanders, such as Waliur Rehman, were now overshadowing him. He did not explain why this was, though the Taliban movement has been pummeled over the last six months by relentless U.S. missile attacks and Pakistan army offensives that have pushed it from once-secure bases along the border. Mehsud's reported survival is unlikely to alter the way Pakistan is fighting militants in the northwest. The campaign, which began in earnest just under two years ago after intense U.S. pressure, is broadly supported by the country's politicians and people. Four intelligence officers said Pakistan's main spy agency now believed Mehsud is alive. They cited electronic surveillance and reports from sources in the field, including from inside the Taliban. One of them said Mehsud was believed to have been wounded in the attack but had largely recovered. All spoke on condition of anonymity because they work for the spy agencies, which do not allow operatives to be named in the media. On Feb. 10, Pakistan's chief civilian security official, Interior Minister Rehman Malik, confirmed reports that Mehsud was dead. Seven days earlier, a senior U.S. intelligence official, speaking on condition of anonymity to discuss sensitive security matters, said the best collective information of U.S. intelligence agencies was that the militant was dead. The United States has greatly expanded its covert missile strike program in northwestern Pakistan over the last 20 months. This year alone it is believed to have carried out more than 30 such attacks. U.S. officials do not talk about the program on the record. In early January, Mehsud appeared in a video with a Jordanian suicide bomber who killed seven CIA employees in late December in eastern Afghanistan. The Pakistani Taliban have been known to deny militant leaders' deaths even when true. They waited for some three weeks to confirm that Mehsud's predecessor, Baitullah Mehsud, had been killed in an August strike as they squabbled over who would be his heir. If he is alive, it won't be the first time Mehsud, believed to be in his 20s, has defied reports of his death. After his predecessor died, the interior minister was among those who claimed Mehsud was killed in a succession struggle. But the militant met with reporters, on camera, in the weeks afterward and went on to lead a surge of bomb attacks across the country that left more than 600 people dead in the last three months of 2009.